This podcast features an interview with Grant Shear, who captained the USA Bowling team in the international match held in Vancouver, in October 2016. 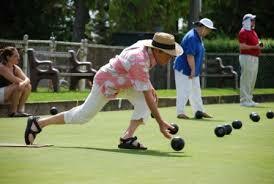 It provides an interesting insight, both to the appeal of the sport but especially in its attraction to Seniors in terms of social interaction, and the strategy of the game, without necessitating the physical requirements of active sports. Any senior interested in taking up a sport with these features will find this interview very interesting.